First on your wedding day photo itinerary is Wendy Park, a lush wildlife sanctuary in the northeast corner of Whiskey Island. 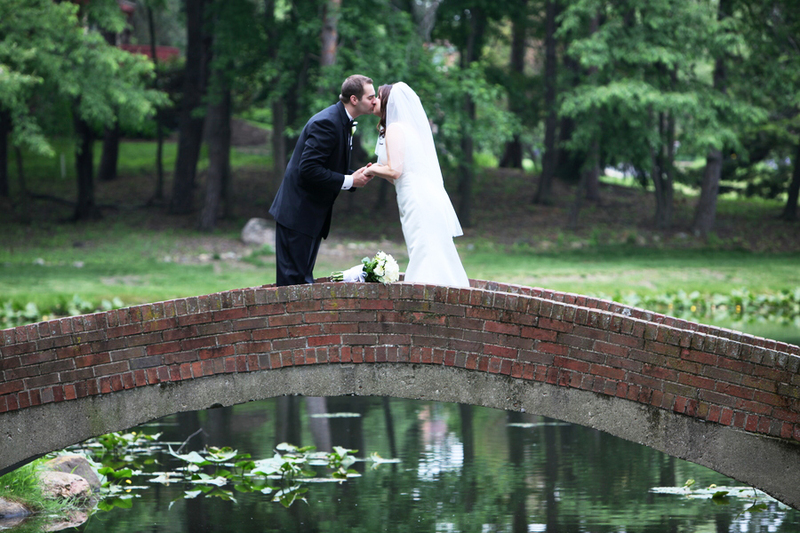 Flanked by Lake Erie and the Cuyahoga River, Wendy Park provides the height of natural peace and tranquility to begin your wedding photo shoot. This twenty-two acre park is named for Wendy Moore, Cleveland native who frequently retreated to this part of Whiskey Island where she applied her artistic impulses to preserving the beauty of the wilderness through photography. 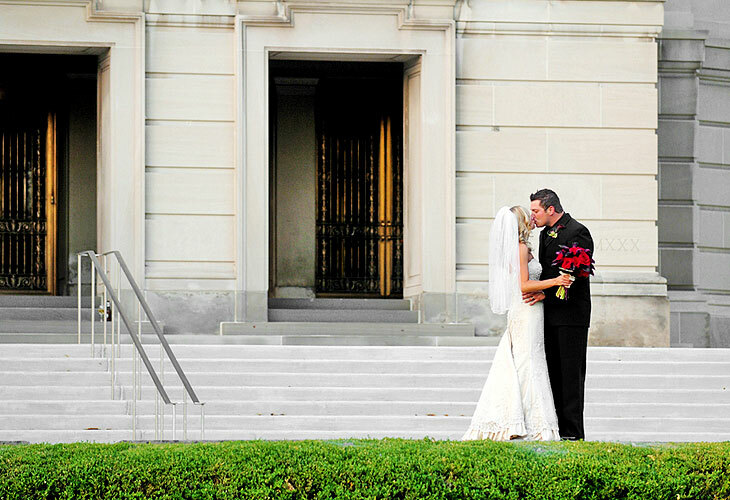 As you take in the beauty and the awe that distinguish this special location within the heart of Cleveland, allow your photographer to apply his or her own artistic perspective to creating the ideal poses for your wedding photography. Begin with a solitary shot of the bride and groom near the edge of the park; have your photographer capture the dramatic, sweeping views of Lake Erie as the backdrop. After several poses, have the entire bridal party join to get a few great group pictures. The undulating surface of the gentle Cuyahoga River provides another water background photo opportunity. In order to root your wedding day in distinctive Cleveland style, arrange a wedding party pose with the distinctive bridges that epitomize the city as a background. The imagery contrast between your rugged, verdant surroundings and the industrial ambiance of the bridges and cityscape will add a sense of intrigue to your photos. Conclude this stop on your photography itinerary with a shot of the bride and groom alone beneath the skyline of downtown Cleveland. Wendy Park’s enviable position hugging the edges of Whiskey Island endows it with one of (if not the) the most sublime views of the city. Take advantage of this and allow your photographs to highlight the supremacy of this location whose captivating spirit equals the excitement you experience as newlyweds. The thriving downtown area of Cleveland offers the newly married couple a wealth of photography opportunities to meet any taste and desire. Bring your wedding party to the Hyatt Regency Cleveland at The Arcade, a historic building evocative of a past era driven by the city’s industrial tycoons. This elegant, striking hotel shares location with The Arcade, another quintessential Cleveland landmark. The hotel’s exterior provides your first photo stop; have your photographer capture the bride and groom beneath the arched stone entryway which creates an idyllic yet natural setting in which to frame a private moment. Next bring your entire bridal party into the picture, arranging several poses and making sure to emphasize the deeper color tones of the stone structure as they contrast with the vividness of your attire. Continue inside as you explore the Hyatt’s impressive glass atriums and exquisite lighting. Have your photographer position the party to best highlight the vaulted glass in the background which lends an expansive effect to your photos. Beyond the Hyatt Regency itself lies the vivacious part of downtown Cleveland devoted to emerging art and entertainment. After the serenity of the hotel you might feel inclined to capture a few quirky street shots to really play off the urban vibe of the area of the city. For the newly wed couple seeking a fun twist to their wedding photos, bring your bridal party to the Rock and Roll Hall of Fame in the heart of Cleveland. Just a few steps from the Hyatt Regency and the vibrancy of East 4th Street, this landmark of both local and national significance offers decidedly modern architecture as a unique backdrop for several photo arrangements. Pause first in the foreground of the pyramidal glass that forms the Hall of Fame’s signature exterior. With the building in the far background, have your photographer arrange several shots of the entire group. This might be the perfect stop along your itinerary to mix it up a bit and let your more humorous sides show. Impromptu shots are an exciting part of any wedding photo session, so let the liberating spirit of music dictate the tone of the photography. After several fun shots of the entire party, let the bride and groom have a mini session of their own in a close up pose beneath the backdrop of the translucent glass. Perhaps an exchange of a joke or the sharing or an intimate moment characterizes this part of your wedding day photo session. Take advantage of these unique environments for unforgettable day of wedding photography in Cleveland!